Yes, I am a painter! 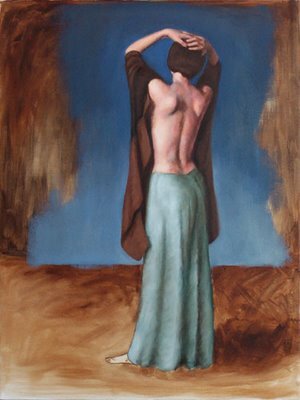 Still on the easel is this figurative painting, please note that the blue is not quite that strong in real life. 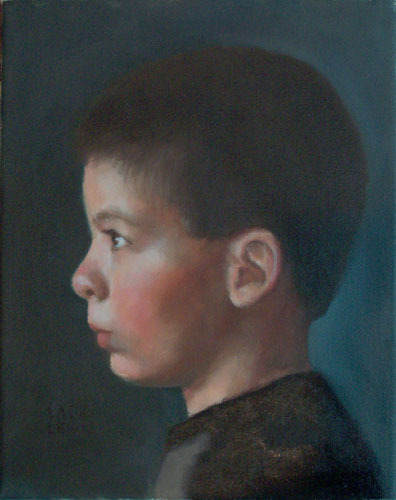 Now officially off the easel is this portrait of a young boy. When the rain clears and I can get a less gloomy pic of this painting I will post it. 8 x 10 Oil on Canvas.